The Rebel Sweetheart. 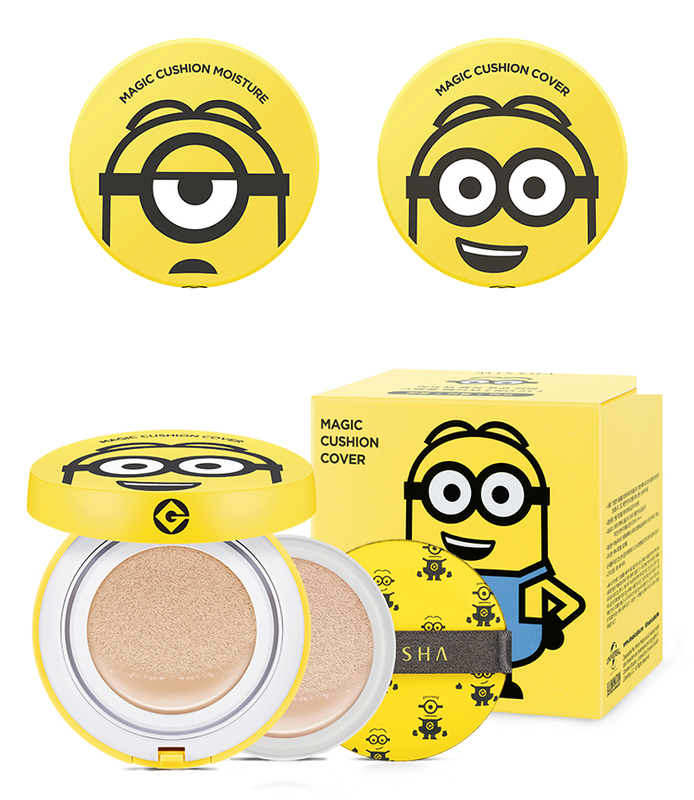 : Sneak Peek | Missha x Minions. Minions are zany little creatures, and that quirkiness is embodied in this makeup line's bright and bold packaging. The Magic Cushions, for instance, feature Stuart and Dave on the cartridge and come with Minion-studded puffs. The one with Stuart on the cover is the Magic Cushion Moisture, which gives long-lasting moisturizing coverage; while the one with Dave on the cover is the Magic Cushion Cover, which is great for hiding blemishes and skin imperfections. Eye Color Studio Mini, 14800 won. Stuart and Dave also appear on the cover of the Eye Color Studio Mini, an eyeshadow palette with four different shades. Dave's palette has a range of dark hues for that romantic evening look, while Stuart's palette has brighter colors to add a subtle pop to your everyday look. Cushion Lip Crayon, 9000 won. Dave - Cherry Shower, Jerry - Sugar Apple. 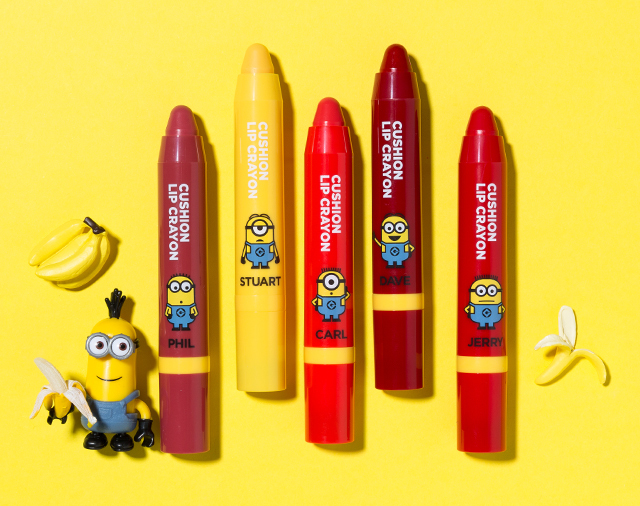 Complete your look with the Cushion Lip Crayons, available in five different Minions - err, shades. Formulated with shea butter and avocado oil, these lips crayons are guaranteed to soothe and hydrate your lips. Oh, and they can be used as cheek stains, too! 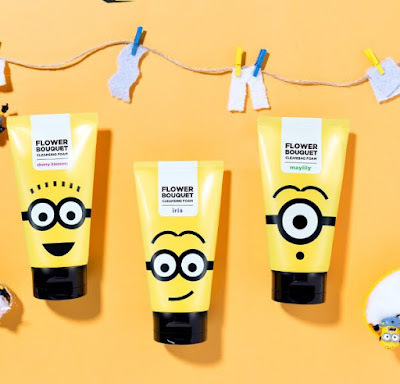 Flower Bouquet Cleansing Foam, 4000 won. Finally, there's the Flower Bouquet Cleansing Foam for washing the gunk out of your face while leaving it fresh and supple. They come in three Minions, each with different scents. These are so adorable! Koreans sure know how to get people to buy their products! Lol. I think the lippies are amazing and the palettes too. The facial foam sounds amazing, I'm sure it smells lovely as well. 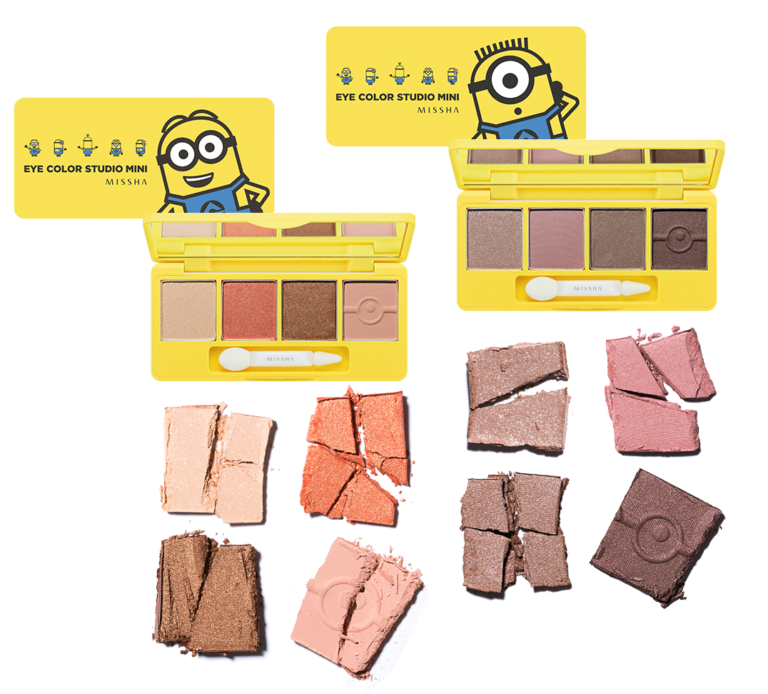 Minion makeup?! I'm with you - I did not see this coming, but it sure it awfully cute! I have never heard of Missha makeup but I am so in love with the Minions. This whole line of makeup I would literally buy if it was sold in the U.S. for sure. Thanks for sharing this amazing line of makeup. 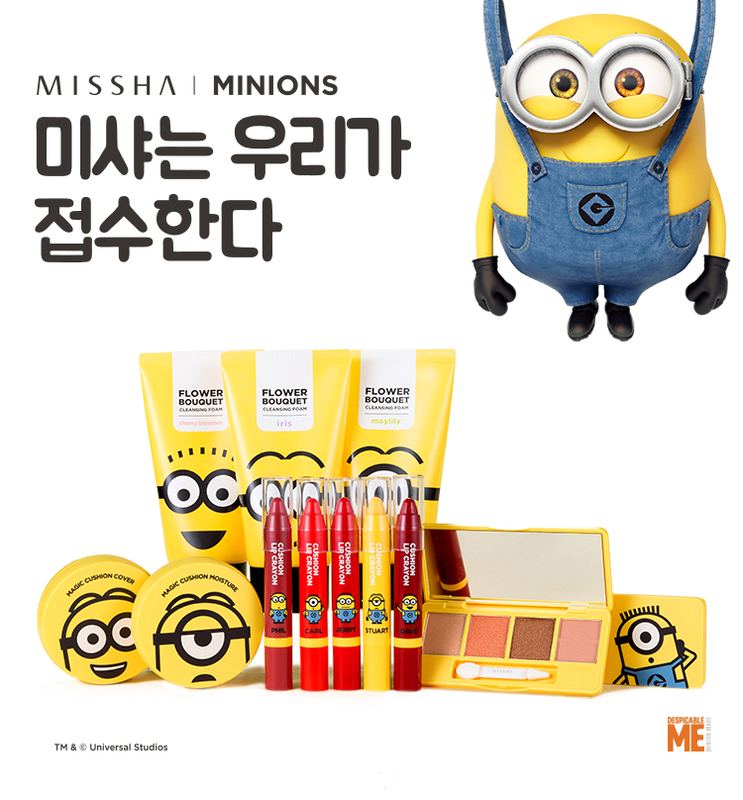 I never heard of the Missha x Minions makeup. What a cool idea! Amazing design too! 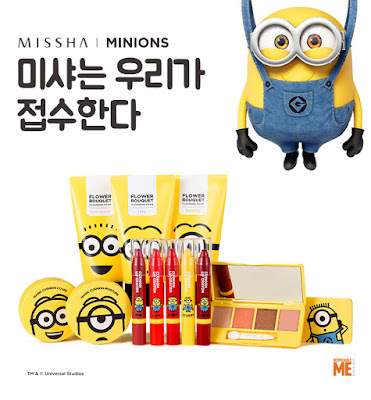 Minions are always so much adorable & Missha is a pretty new brand for me as I have never heard about it before. I love that Magic Cushion Moisture & Cushion Lip Crayon so much & the package looks cute as well. Minion make-up? Who would have thought? It is indeed appealing!